The Perth Carnival is winding down, but we still have one last Group 1 to come with this year’s Kingston Town Classic. This race doesn’t look quite as clear-cut as the Winterbottom for mine. The field actually boasts very few genuine weight-for-age performers. The majority of the field have been running in handicap races, which I found interesting, but the quality is there due mainly to Black Heart Bart and It’s Somewhat bringing Group 1 form from the east. Three-year-olds have a decent record in this race having won on four occasions in the past ten years. They all had one thing in common, that being they were dominant winners going into this race – they won their previous run and won well. That stands out history-wise. There should be solid speed and I suspect they’ll make Great Shot work harder for the lead than they did in the Railway. It’s Somewhat is drawn directly inside him and will press from Tom Melbourne, while Achernar Star and Material Man are closer to the inside and will want to hold their spots. He was good again in the Railway, three-wide with cover and just failed narrowly in a driving finish. Barrier 1 looks great on paper and has a good record in this race, but my concern with him is that because there’s a bit of speed drawn out wide, he just mightn’t be able to hold his spot. He might get dragged back to midfield on the fence. Rawiller will have to get him off the fence at the right time. If he can do that, he’s obviously right there in the finish because he’s so genuine. But I would’ve preferred he drew off the fence – that’s my only worry with him. Very good in the Mackinnon. He was pushed wide on the turn and kept coming. Taj Mahal finished just behind him there and then went and won at Sandown impressively. So the formlines are there from the Mackinnon, which is obviously a strong Group 1 race. He clearly runs best fresh with a space between runs, so the 28 days here is perfect for him. 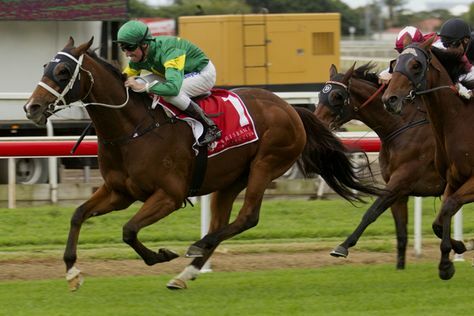 The gate is a worry, Avdulla will have to put him into the race as there’s no point in going back. He’ll have to be positive so it’ll come down to how much work he has to do early. Seemed to find the front fairly easily in the Railway, although he still did run along if you look at the times. I think from the wide gate here they’ll make him work harder, and the extra 200 metres at weight-for-age just might find him out. Tom… he does map well again. He’s got that going for him. He’s going to get a great run and he’ll run up to it… he’ll loom… but most likely he’ll find one or two better. He was pretty good in the Railway. He had no luck and was held up a couple of times, and only got clear very late. And he was warming up late when he got clear. 1800 metres suits. He was my best roughie in the Railway and again I think he can finish in the money here. Was a bit keen in the Railway. He should get a similar run to that here, but I don’t think he’s good enough to win. Place hope at best. As I said before the Railway, he was ridden upside-down at Flemington when he led and went pretty keen in front. They then dragged him right back in the Railway. He was good late – his last 200m was very strong – but they’ll have to drag him back again so he’ll be giving away another start. Interesting runner. He went into Flemington off a 38-day let-up, got way too far back and had to sustain a very long run. I thought it was an extremely good effort. I think they’ve worked out that the key with him is his races need to be spaced. He always performs fresh. He’s drawn well and if he can just hold his spot, then I reckon he’s a blowout chance here. I really like him and I think he’s right in the race. Over the odds. Good run in the Railway where he had every hope but just wasn’t good enough. Has drawn poorly here and will have to go back. I can’t see him improving on the last effort. She’ll get back and I don’t think she’s good enough. Had no luck last Saturday in an inferior race. Massive class rise here and I think that might find her out. Had no luck at all in Guineas and I think he arguably should’ve won. He’ll get a very good run right on top of the speed here, and that’s the way to ride him with a bit of cover, which he’ll get here. I think he can definitely finish in the money. Got back in the Guineas and his last 200m was fairly weak. He might be coming to the end or he could just be a genuine query at the trip. Happy to risk him. She was given a peach of a ride by the Wizard to win the Guineas. I actually think the 1800m will suit. She’ll get back but the pace should be on and she won’t be too far way. I think Life Less Ordinary is the fresh horse on the scene here and his best form is clearly when his runs are spaced. He’ll get a good run and is my top selection. It’s Somewhat and Achernar Star to fill the placings. So there’s a bit of value there for the punters! Mark Van Triet is our WA racing expert, members of WA Winners with profitable tips across West Australian metro and provincial meetings. With 5% Profit on Turnover since launch in mid-August, you can click below to join now and start sharing in the profits.